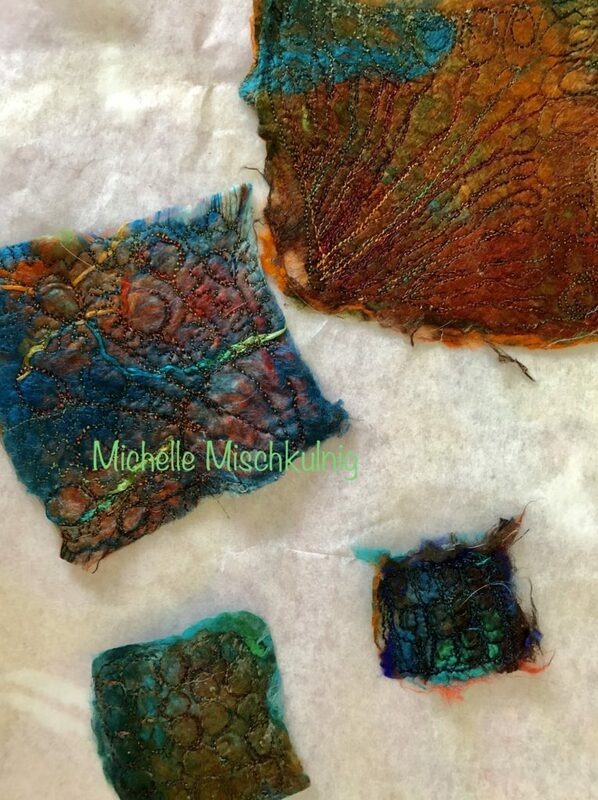 Water soluble fabric either sticky sided or your preference of vilene or plastic. 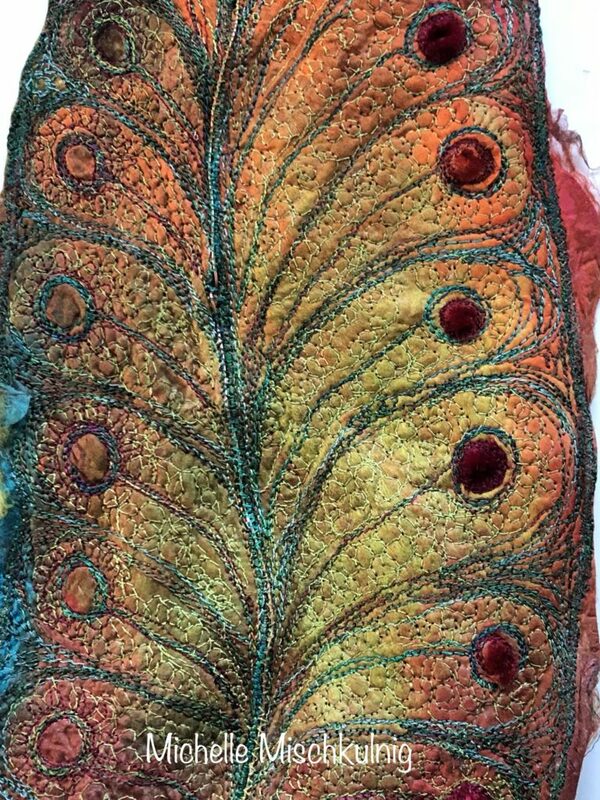 Extra embellishment of choice I have used velvet . 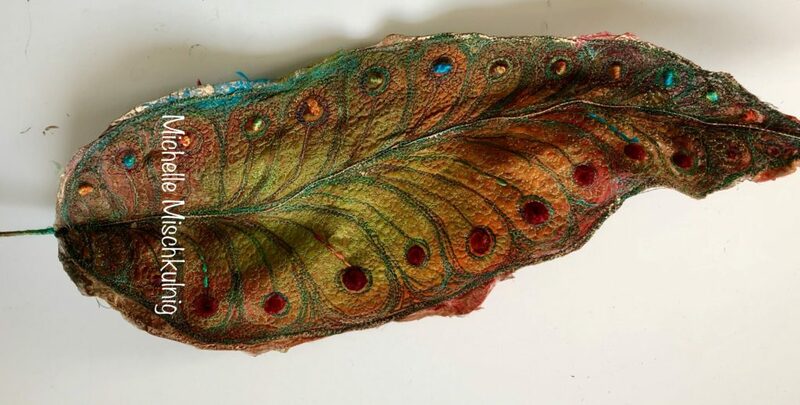 The shape and design of your silk hankie piece is totally up to you, here I have created a leaf. 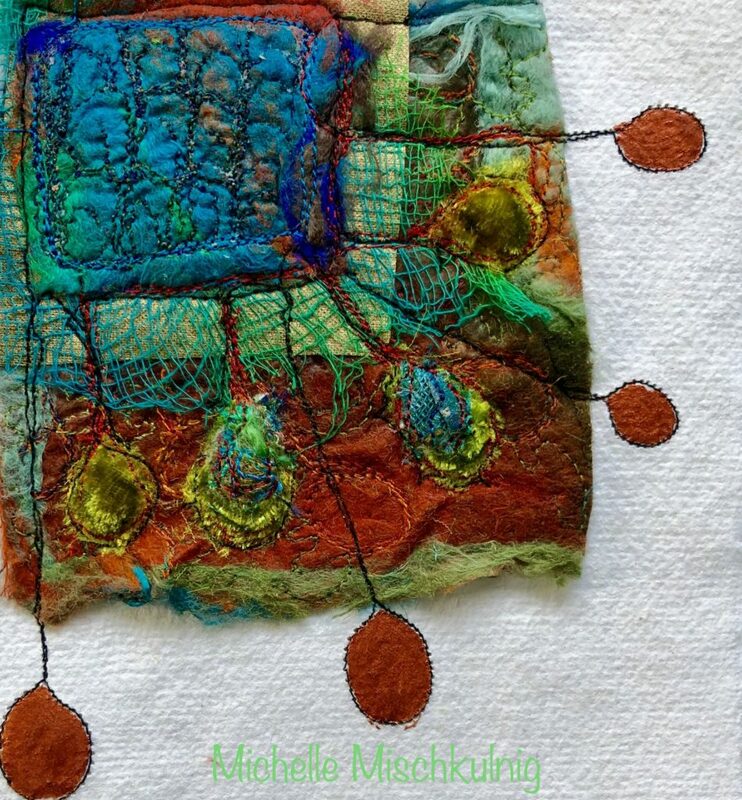 Carefully pull apart your silk hankies into spider web fine layers and cut to roughly follow the shape you have drawn.I have used four layers they need to be spider web thin to see allthe different colours shine through. 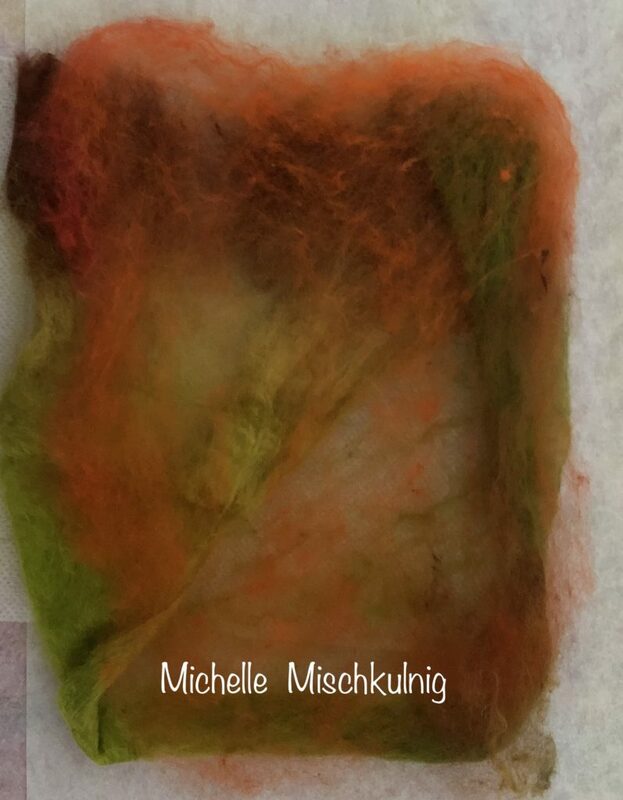 When you have finished layering, place a top layer of water soluble fabric to cover the silk hankies and pin. 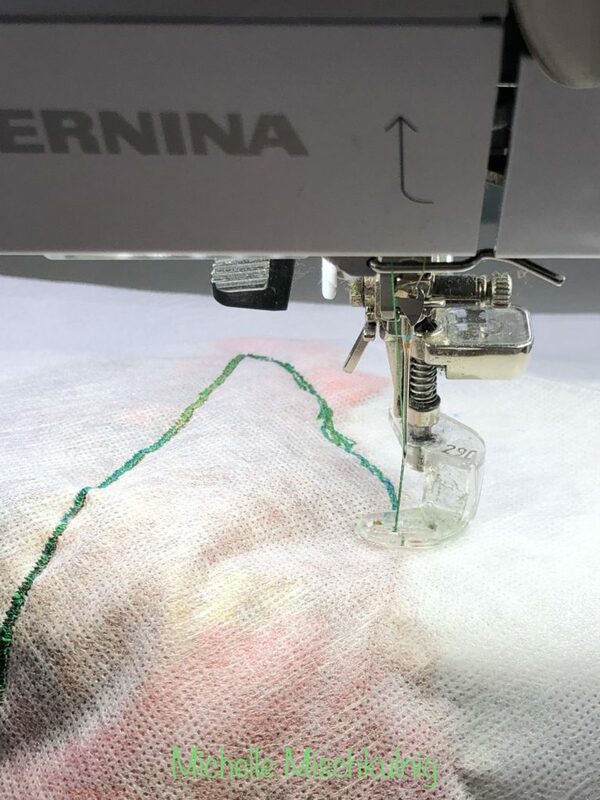 Ready your sewing machine for free motion stitching. 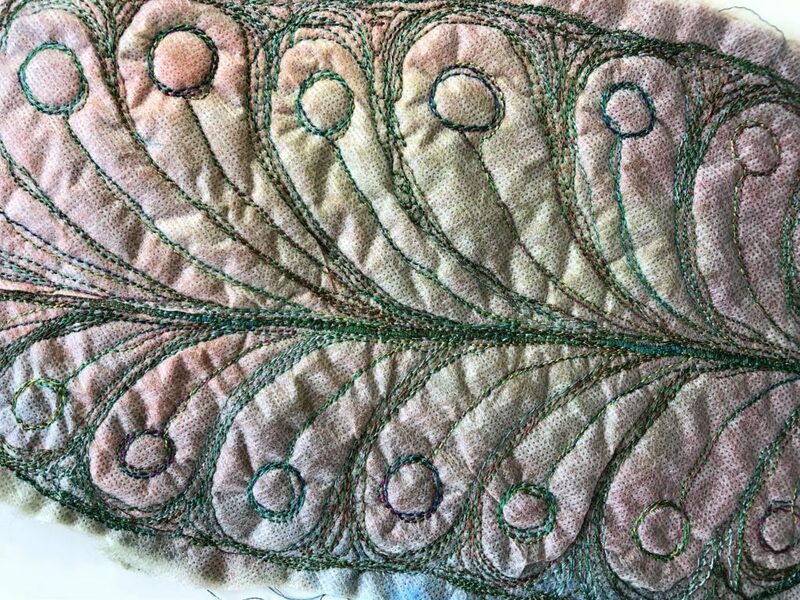 Outline your shape with straight stitch and I have used a fine zig zag down the centre of the leaf. 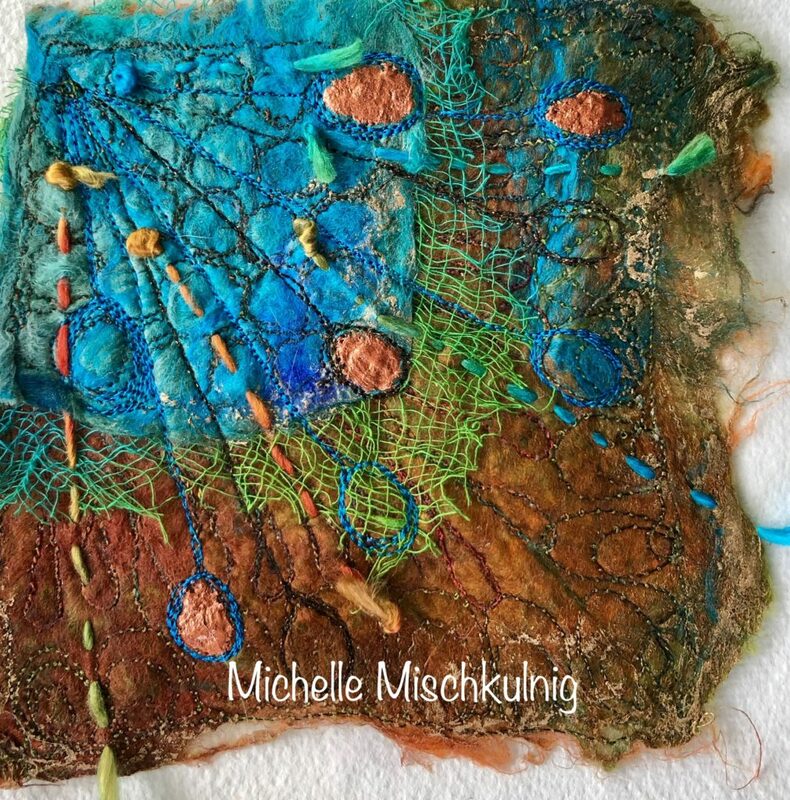 The whole surface is cover in stitches. 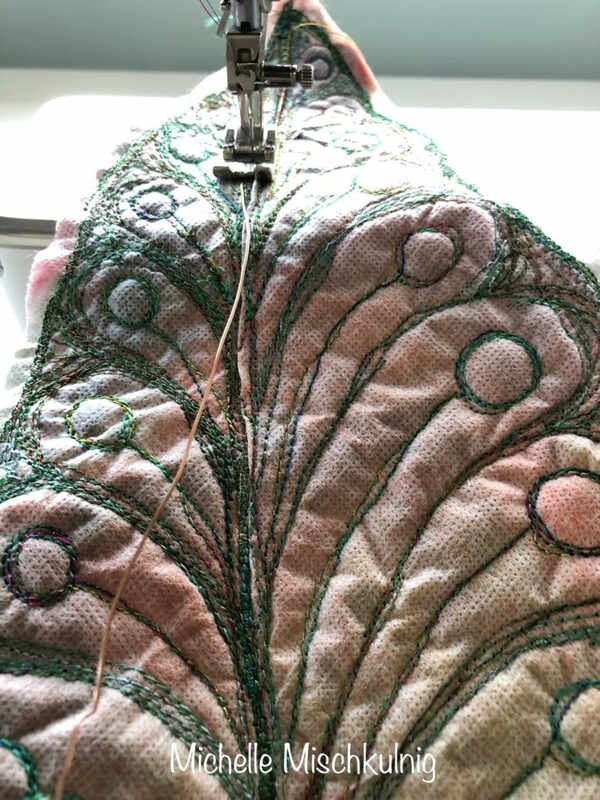 Using your craft wire, normal machine setting and normal foot set your zig zag stitch to very conformably stitch over the wire and very carefully stitch the wire to the leaf. 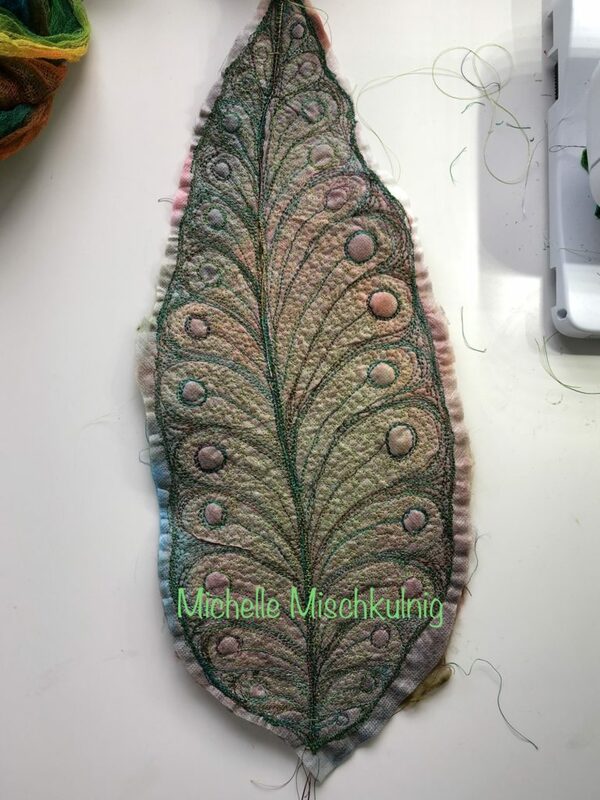 Stitch the wire through the centre of the leaf and the outside edge this will make if hold a shape. 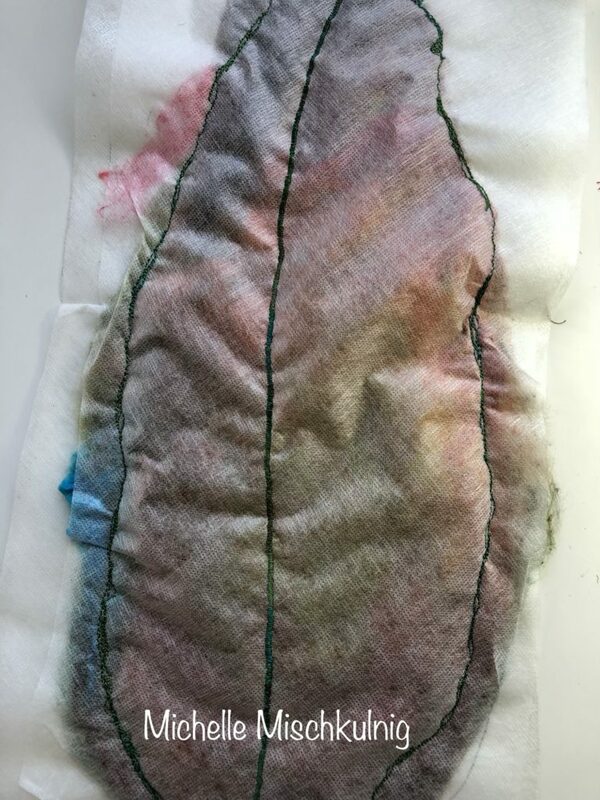 When all your stitching is finished, wash the leaf in warm clear water leaving some of the water soluble sticky gum in the leaf which will give it body. 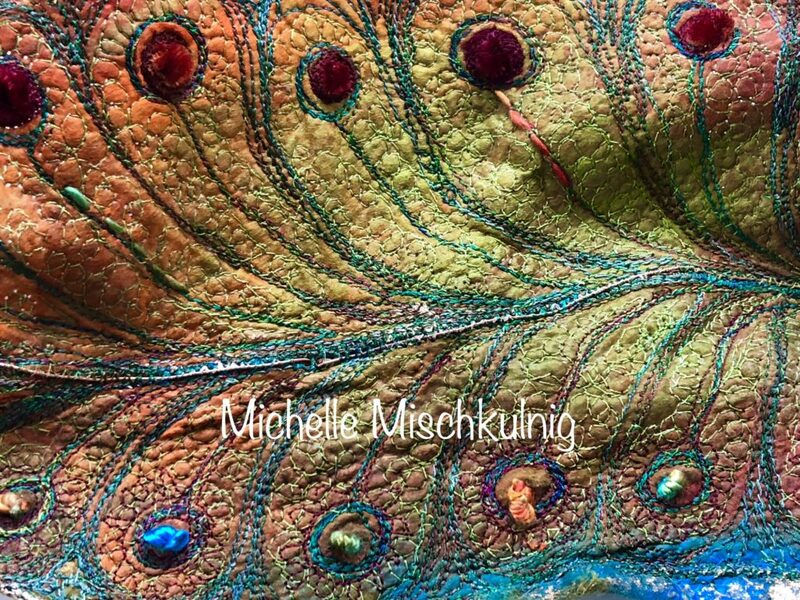 Add any extra embellishment you desire I have added velvet pieces and hand embroidery using silk thread .You may like to add beading, paint etc, limitless possibilities . 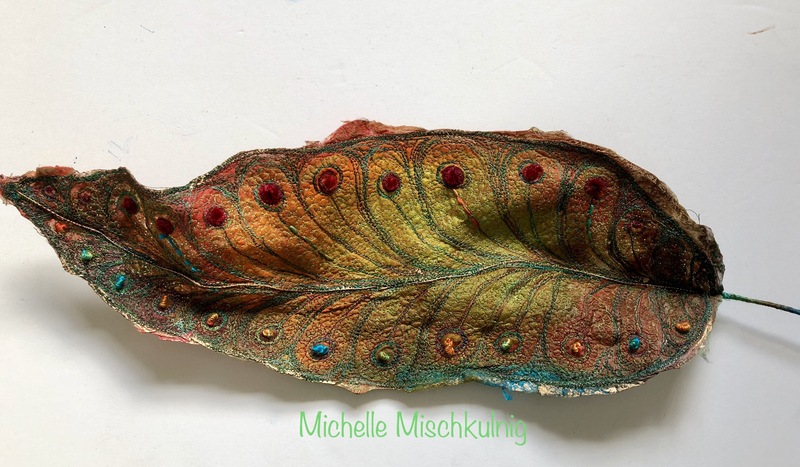 Your leaf is now complete and can be used a a soft sculpture or part of an art work. 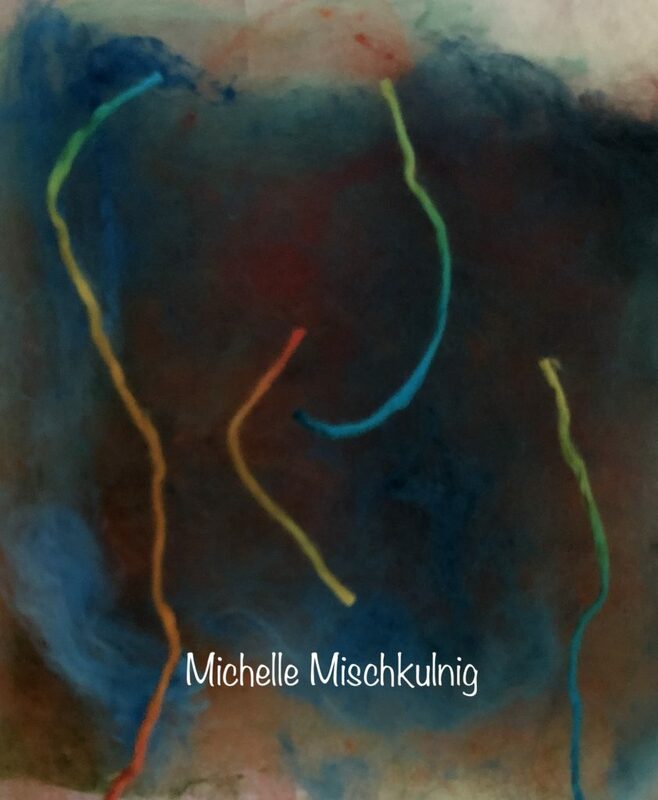 Some other ideas. 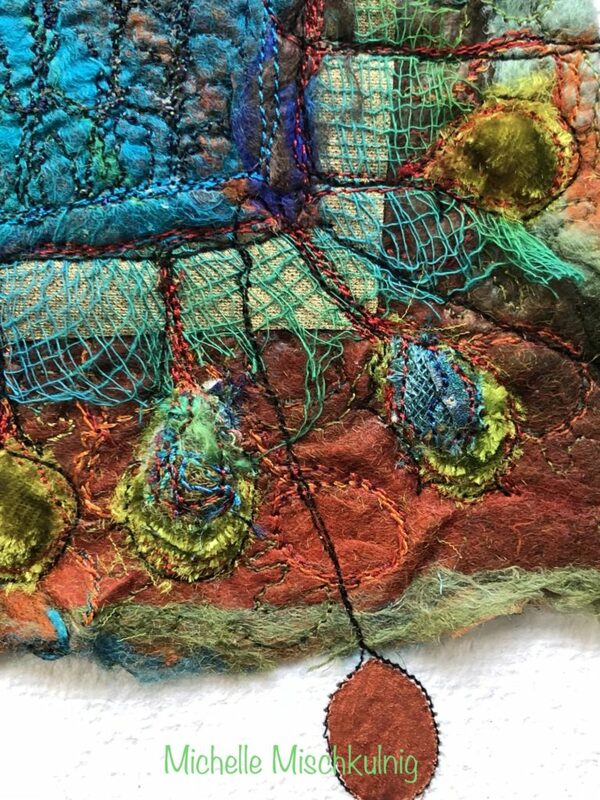 this techniques is a form of silk paper made with stitch. 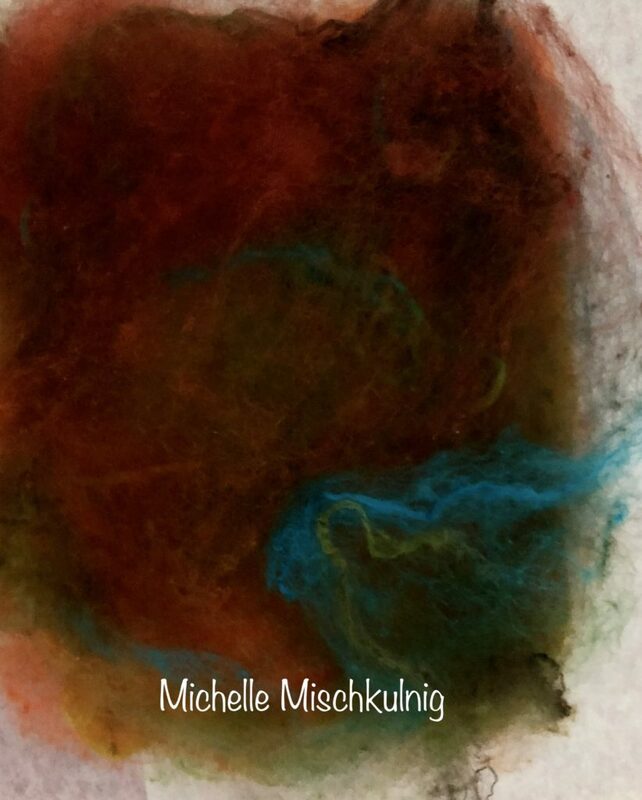 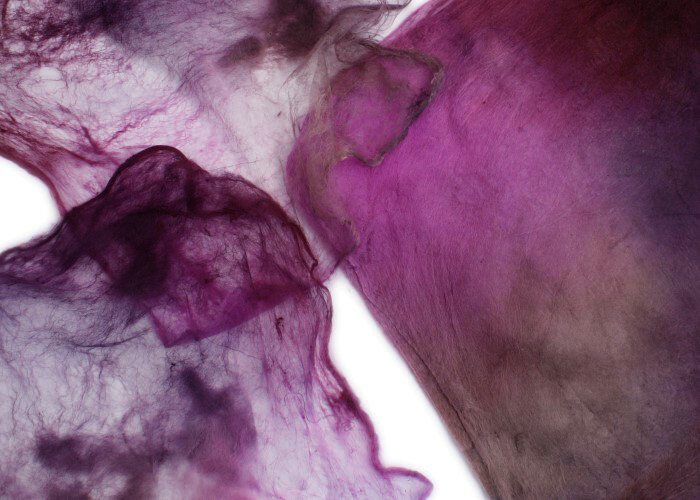 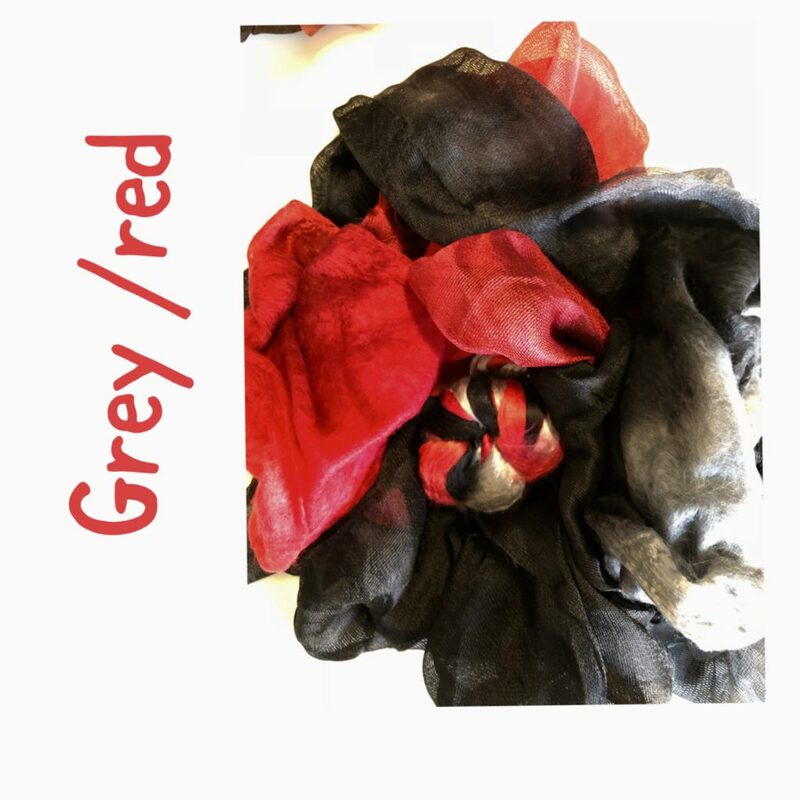 Now to make some small art works which are inspired by the colours and forms of the silk hankies. 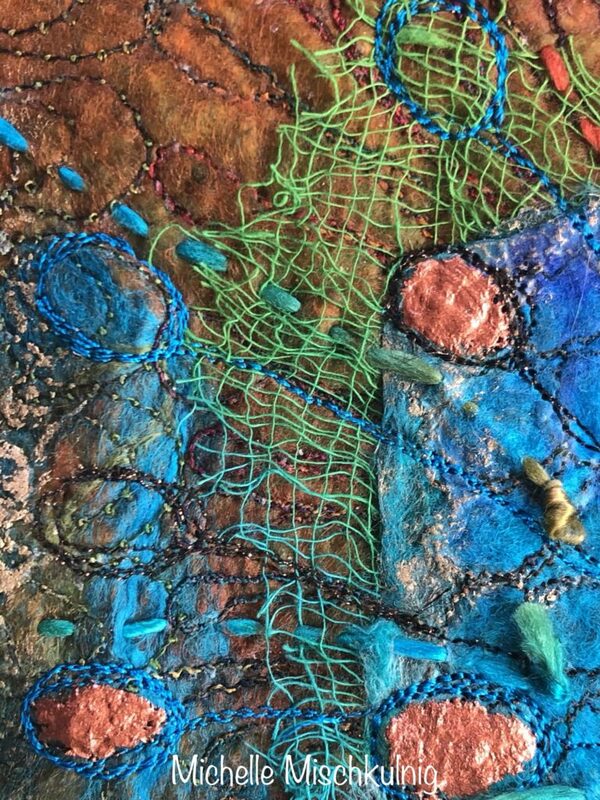 Layered free motion stitched, painted and fabrics added such as hand dyed gauze and metallic . 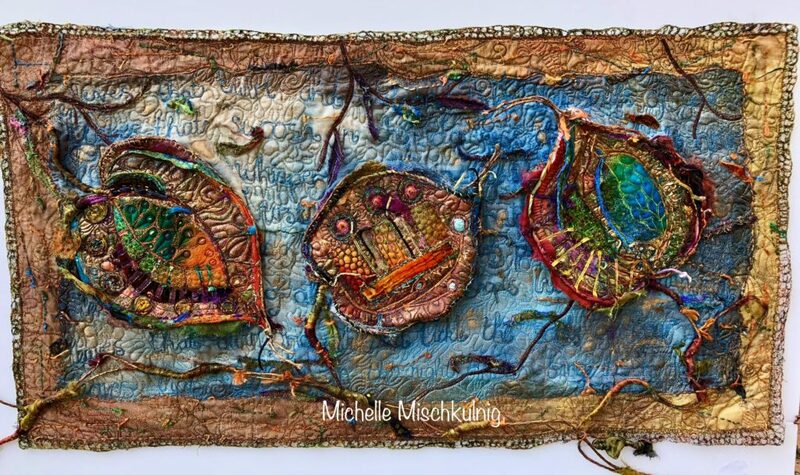 I have just finished the piece below which will be on display at the Bernina stand at the Craft and Quilt fairs in Sydney, Melbourne, Brisbane, Canberra, and Adelaide and I will be at the Sydney, Melbourne and Brisbane ones so come and meet me and see me at work.